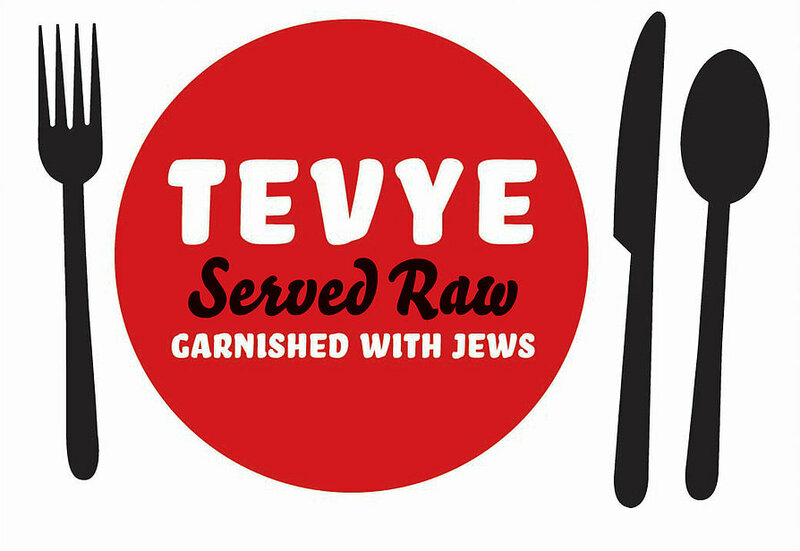 TEVYE SERVED RAW comes back up again! And every review was a rave. That was just the critics. This is what audience members had to say. Now Tevye’s coming back — for ten more performances. at the Playroom Theater, 151 W. 46th St.
Sholem Aleichem was, according to pretty much everybody, the greatest Jewish writer ever. His stories of life in Eastern Europe are the closest thing we have to an American Jewish “ROOTS”. Plus also, of course, he was funny. Very funny. And his Tevye stories were made into A Certain Broadway Musical. But they had to be watered down to be made acceptable to 1964 audiences. Most of the authenticity was gone. TEVYE SERVED RAW brings it back. 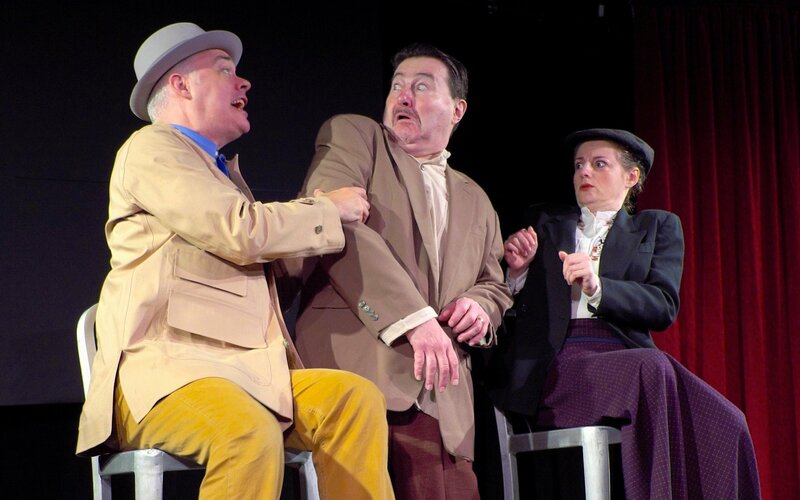 This show presents the Tevye stories as Sholem Aleichem actually wrote them, including a lot that’s not in the musical. There are also some of his greatest comedy stories. And it’s all performed by actors who speak and understand the original language. You’ll laugh, you’ll cry, you’ll krechtz. 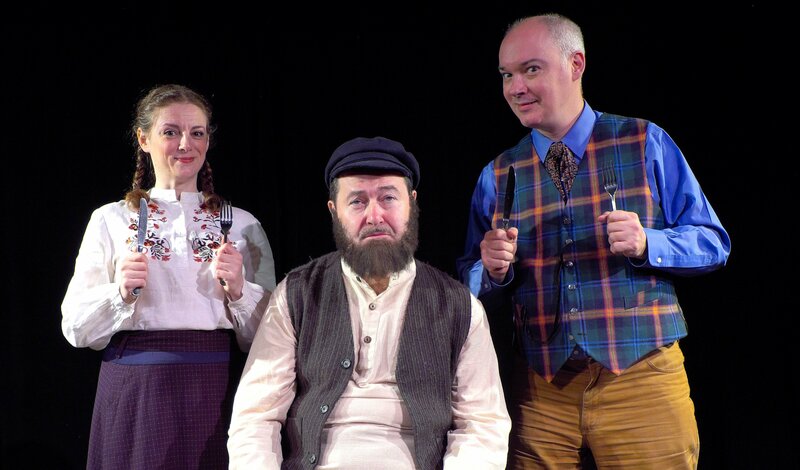 TEVYE SERVED RAW is presented in English and Yiddish-with-English Supertitles.